A clubroom snooker table with a 5.5” square leg. 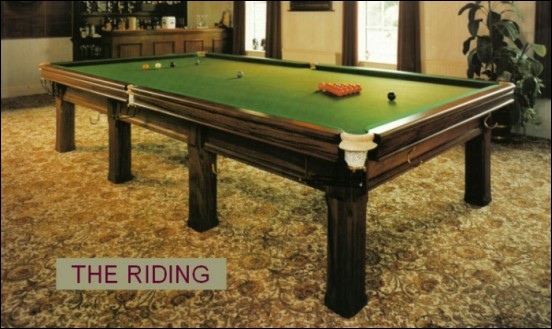 The Riding snooker table plays to the same high standards as our other snooker tables. The best value snooker tables manufactured by Alan Phillips Snooker in Hull East Yorkshire. Alan Phillips delivers snooker and pool tables to Kent, Cornwall, Devon, Warwickshire, Somerset, Northants and Nottinghamshire.